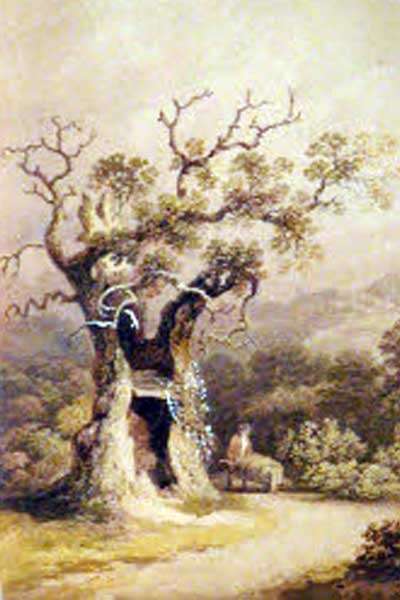 The Nannau Oak - Watercolour by Sir Richard Colt Hoare © National Trust / David Cousins. Howel Sele, of Nannau, in Merionethshire, first cousin to Owen, was an adherent of the House of Lancaster. Owen and his chieftain had been long in variance. I have been informed that the Abbot of Kymmer, in hopes of reconsiling them, brought them together, and to all appearance effected his charitable design. While they were walking out, Owen observed a doe feeding and told Howel, who was reckoned to be the best archer of his day, that there was a fine mark for him. Howel bent his bow, pretending to aim at the doe, suddenly turned and discharged the arrow full at the breast of Glyndwr, who fortunately had armour beneath his clothes and received no hurt. Enraged at this treachery, he seized on Sele, burnt his house, and hurried him away from the place; nor could anyone learn how he was disposed of, till forty years after, when a skeleton of a large man, such as Howel, was discovered in the hollow of a great oak, in which Owen was supposed to have immured him in reward for his perfidy. A sundial, on Nannau lawn, with a brass plate, on which is an inscription and a representation of an oak, now marks the place where once stood “the spirit’s blasted tree”. 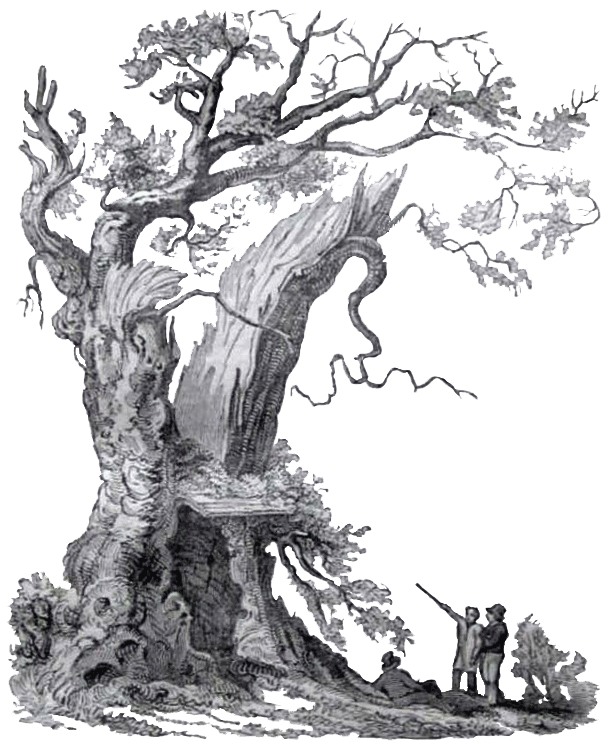 The tree was reported to be twenty-eight feet in circumference and eventually fell four-hundred years later during a storm on July 28th, 1813. His royal brother’s blood had quaffed. Pennant “Tours of Wales”, 1883 ed. Volume 3.